Should the EU become a mediator? Should the EU become an international peacemaker? Does the EU have the leverage to become one? Would a European Institute of Peace be of added value? These questions dominated the high level conference at the European Parliament on May 28th organised by the European Policy Centre (EPC) on behalf of the Irish Presidency and the European External Action Service (EEAS). Crowded and with a long list of high profile participants it was an event not to miss. Think-tankers, policy-makers, MEPs, national representatives, NGOs and mediation experts created a thought-provoking intellectual mix which discussed the role of EU as a peacemaker and explored the potential for enhancing the Union’s mediation capacity. The broad message of the conference was a positive one for EU. There is space for European mediation, not only in the form of formal negotiation rounds, but also through political and diplomatic initiatives which would aim in building confidence and restoring trust in conflict countries. The unique personality of the EU as an institution offers more opportunities in mediation since it allows it to be more flexible than individual states. 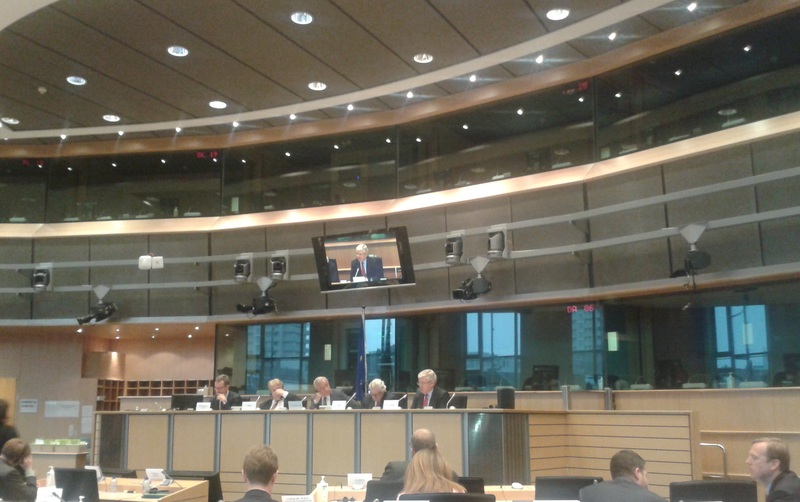 Pierre Vimont, Executive Secretary General of the EEAS, acknowledged that often, Member States are being reluctant to put forward mediation practices. However, once this obstacle is surpassed, the EU has a ‘formidable intellectual force’ which places it in an advantageous position compared to other international actors. Regarding the proposed establishment of a European Institute of Peace with the aim to deepen the scope of EU’s mediation and facilitation capabilities vis-à-vis the growing demand for more coherent responses, the majority of the panellists were mostly in agreement. Whereas this proposal was welcomed as a positive approach, there were concerns that it could undermine the current progress made by the EU Special Representatives (EUSRs) and the EEAS, especially the Mediation Support Team. Instead of setting up a new structure, it was advised to consolidate the diplomatic efforts and to build a culture of expertise within the EEAS. The challenges that were identified were mostly related to the fact that the EU is balancing between the desire for rapid reaction and the need for long term engagement. Rosa Balfour, Senior Policy Analyst at the EPC pointed that both discretion and autonomy for initiatives on the ground are similarly important. While transparency is highly valued, confidentiality and flexibility are also appreciated in the framework of mediation. Moreover, for the EU to become a real expert in mediation, it is essential to create an ‘institutional memory bank’ as remarked Alexander Rondos, EU Special Representative for the Horn of Africa. This means that the EU, through a ‘debriefing exercise’ has to be able to assess its own peace and mediation activities. In addition, it will have to overcome the limitations defined by the strategic interests of member states. Dr. Juan Diaz, Berlin Representative of mediatEUr, elaborating on this argument, suggested that the Syria case indicates that there is more space for Member States and NGOs to move forward the mediation process and that the EU is being restrained by the conflicting interests of its components and the demand for impartiality. This point was also the conclusion of a similar discussion that took place only a day before at the European Parliament. While the high level conference at the European Parliament discussed the EU’s position in mediation in general, a smaller in size but not less vibrant debate was held on May 27th by MEP Franziska Bratner and Kent’s University Brussels School of International Studies. The roundtable discussion was moderated by Dr. Juan Diaz, Berlin Representative of mediatEUr, who was also taking part in the high level conference and was comprised by Dr. Tom Casier, BSIS Senior Lecturer in International Relations and Jean Monnet Chair, Dr. Jamie Shea – Deputy Assistant Secretary General for Emerging Security Challenges (NATO), Dr. Laura Davis – BSIS Visiting Lecturer and Brendan McAllister – mediatEUr Senior Associate. This time the thematic was more focused; does the EU have a role and a responsibility in Syria? For the majority of the participants the answer was quite clear. Facing more difficulties than in the Balkans, where the possibility of an EU accession is extremely esteemed, the EU does not have the same leverage in Syria where the people cannot see any added value for them from a European mediating intervention. Jamie Shea underlined that whereas the EU is good at rule-setting, this does not mean that other involved parties will respect these rules. At the same extent, Brendan Mc Allister, commenting on the importance of ripeness, argued that Syria is still in ‘a season of violence’ and that perhaps the EU should follow its natural instinct and invest more in social and economic development in the region. This entry was posted on 29/05/2013 by ISIS Europe in Conferences, Elena Marda and tagged EEAS, EU Foreign Policy, Mediation, Syria.